She is an Indian actress and model, who appeared in many Bollywood films. 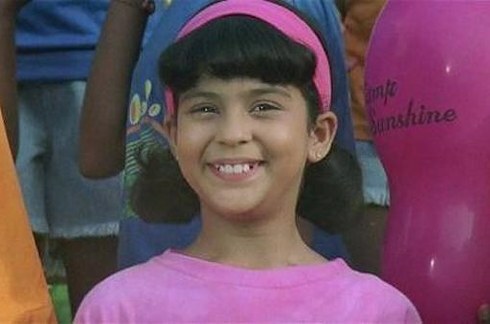 She first appeared as a Child Artist in Kuch Kuch Hota Hai in 1998, as ShahRukh Khan and Rani Mukerji’s daughter named as Anjali Khanna. Her real name is Sana Saeed. She was shot during her school vacation, for which she won the Sansui Viewer’s Awards for Best Child Actress. Saeed made her Screen Debut as an Adult in a Supporting Role in Karan Johar’s Movie Student Of The Year which was a grand hit. She also appeared in various television shows such as Nach Baliye, MTV Splitsvilla, Jhalak Dhikhhla Ja and many more.